Here are the top 3 benefits of nose breathing during exercise. Go here and do it! 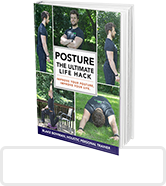 Need help with your imbalances, posture, and training? Click here to apply to speak with me on the phone for 10 min. I’ll only be speaking with those of you I truly think I can help! Expect an email back from me within 24 hours.